Many Christian refugees, newly converted from Islam, are seeking asylum in the UK – but the situation is proving to be complex. While some have questioned the veracity of the refugees' conversion, MPs have raised concerns about how this veracity is being tested. The All-Party Parliamentary Group for International Freedom of Religion and Belief believes that some asylum seekers in the UK are being unfairly questioned on their new-found faith, leading to genuine believers being rejected. 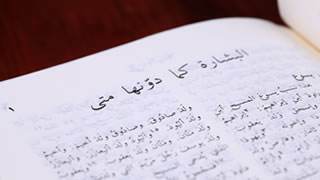 The group has produced a report on the issue, believing that too often, officials are testing on knowledge of the Bible, rather than understanding the asylum seeker's belief. Baroness Berridge, who headed the parliamentary group's inquiry, said: "The problem with those questions is that if you are not genuine you can learn the answers, and if you are genuine, you may not know the answers." "When the system did move on to ask about the lived reality of people's faith, we then found that caseworkers, who are making decisions which can be life or death for people, were not properly supported and trained properly." One convert, Mohammed, had his claim for asylum rejected, following his interview. He said that he was asked what colour is the cover of the Bible. "I knew there were different colours," he said. "The one I had was red. They asked me questions I was not able to answer - for example, what are the Ten Commandments. I could not name them all from memory." He continued: "To know whether someone is a real believer or not, you have to look at the fruit in their lives. The fruit is love and humility... when people come here wounded and in fear and trembling, what they most need is to receive love." Rev Mark Miller has a large congregation in Stockton-on-Tees, largely made up of Iranian converts, and has advised the Home Office on how to handle claims from those who profess to have converted to Christianity. "The asylum assessors have a real challenge on their hands," he said. "If you've come to faith in an underground house church, where you've been able to borrow a New Testament for a week and have encountered the risen Lord Jesus, you're not going to know when the date of Pentecost is." Many of his congregation have first experienced Jesus in secret meetings in people's homes. "[The asylum assessors] should be trying to understand the difference between head knowledge and heart knowledge," he said. Wilson Chowdhry of the British Pakistani Christian Association believes that although some falsely claim conversion to gain asylum, the number is fairly low in the UK. "If you take Pakistani Christians, they're among the most severely persecuted for apostasy. There are other ways of trying to stay in the UK - you would not choose to be persecuted in your own community here, as well as at home." Iranian convert Mohammad Eghtedarian is a curate at Liverpool Cathedral, which runs weekly Persian services. Eghtedarian escaped from Iran, travelling by train, truck and on foot. When he arrived in the UK he was held for four months at Tinsley House detention centre. "Every day was challenging and beautiful. Challenging because I didn't know if they would deport me; beautiful because I was in the Lord's hands. I promised the Lord: if you release me, I will serve you." Although Eghtedarian understands that some may pretend to convert in order to gain asylum, he believes that his priority should be to preach the gospel and to serve those in need. "We have a mission to give them the message of Christ – a message of peace, salvation and freedom. The only person who knows what's in people's hearts is God. It is not for me to judge." "We still try our best to serve people. Jesus Christ knew Judas was going to betray him but he still washed his feet. Thank God it is not my job to judge them." The Home Office is studying the parliamentary group's report, but has not yet formally commented, except to underline that the guidance is regularly reviewed to take into account the views of religious groups. Christian Concern has launched a 'Safe Haven' initiative, in response to the brutal treatment experienced by some in the UK who have left Islam. It offers confidential advice and support to those considering leaving Islam and may even help individuals to relocate.